← What makes a vibrant food scene? There’s a plethora of chopping woods, blocks and sheets available today, which makes choosing the right board difficult. 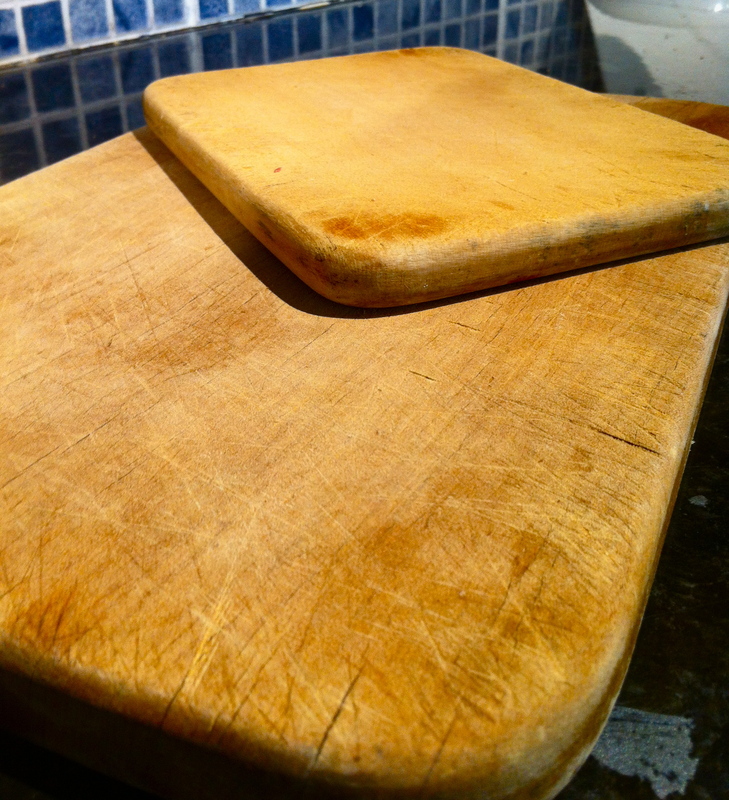 However, if you’re not sure about what the best kind is, consider that wooden chopping boards have natural anti-bacterial properties in the wood that make them hygienic and safer to use. While both plastic and wooden boards get nicks and crevices that can harbour sometimes dangerous bacteria, plastic holds onto these germs while a wooden board will – when washed and dried – be free from harmful germs. But don’t rely on my word, do your own research and draw your own conclusions. A good place to start is this post by the Healthy Home Economist. I was given a set of Kauri wood chopping boards as a wedding present from a Kiwi family friend, and I still use it 13 years later. I gave my mum an oak chopping board for a birthday present, which we had carved with a special message on the sides. 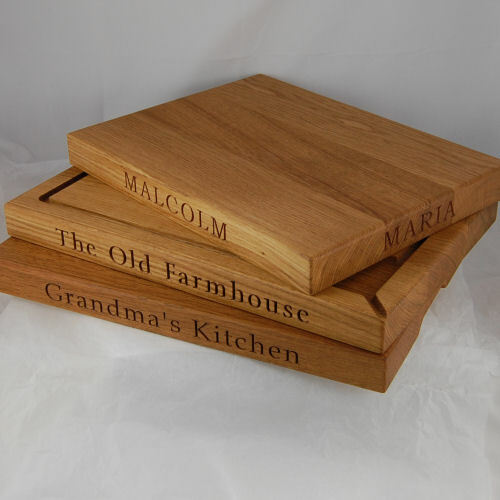 And we like to give engraved, personalised chopping boards as gifts to friends and family for weddings, because they look amazing, they’ll last forever and they’re practical. With the magic of laser cutting technology – you can get almost anything you want carved into a board these days from trees and love hearts to Breaking Bad themed boards. However, I would recommend keeping things simple. Washing a board with loads of detail will become annoying and food might get caught and stuck if there a too many little crevices. I think the simple ones are just as nice, just as personal and yet much more practical and above all safe. 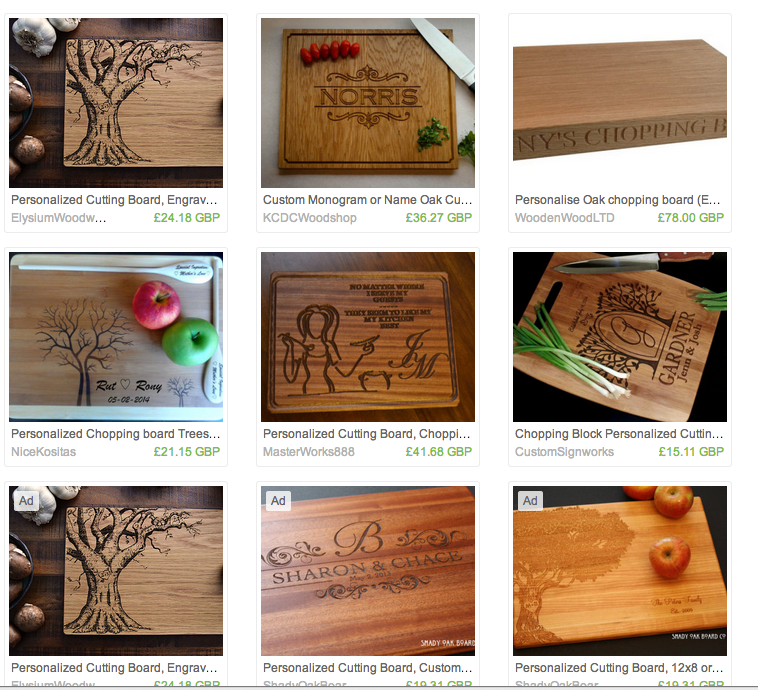 You can go with an oak board from a US company like The Oak Chopping Board Company – they have lovely, simple designs, The Shady Oak Board Co on Etsy has come really striking designs on a variety of boards or you could try and source a local talent using Etsy. The boards themselves are surprisingly economical as a gift, but it’s the shipping which ends up costing a lot. So keep that in mind when you’re ordering. If you use a wooden chopping board, the only thing you need to do to maintain and preserve its natural beauty is to oil it once in a while. Use an edible and fragrance-free oil like sunflower or canola oil and simply give it a good rub using paper towel dipped in the oil. Leave it to soak in and dry off. Do this when ever you see the surface drying out and you’ll avoid the board cracking or splitting.